Final Cut Pro X users can add amazing digital flare transitions between shots using TransFlare: Tech from Pixel Film Studios. This package includes 30 incredibly unique tech flare transitions and a control set up that is easy for the user to operate while giving them complete control. Users can adjust the light exposure, grid scaling and so much more. TransFlare: Tech is a Pixel Film Studios exclusive. Using TransFlare: Tech users can seamlessly transition through scenes with digital grid effects. This plugin is perfect for computer related footage, but can be applied to any footage with great results. Don’t miss out on TransFlare: Tech’s 30 incredibly unique grid flare transitions. TransFlare: Tech’s 30 beautiful flaring grid transitions are shot in 5K resolution and can be adjusted in scale and position without losing substantial resolution. Each flare included in this package is shot using top of the line equipment and uniquely crafted to give the user the most variety possible. TransFlare: Tech comes with an advanced lighting section that can be located in the Inspector window at the bottom of the control rig. Users can control the zoom level of lights, glow, brightness, contrast, and light trail settings all using simple sliders. The angle of zoom lighting can be controlled by giving values to its X and Y location and adds a new level of functionality to lighting. 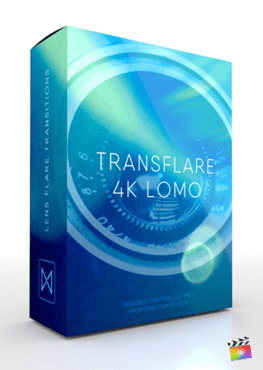 TransFlare: Tech was designed to work seamlessly inside Final Cut Pro X, eliminating the need to composite footage. Simply choose your desired tech transition in the transitions window, and then calibrate the lighting and placement of the effect. You can also adjust the length of the transition in the timeline to best work with your scene. Where do I find TransFlare: Tech? Once the installation is complete, you can find TransFlare: Tech in the FCPX Transition library.